In order to increase the visibility of its members, EXARC decided to make shields. Each member gets one to hang near their entrance, stating they are member of EXARC, the leading European network of archaeological open-air museums. The shields were given to new members well into 2006 when the membership increased to over 50 members. The shields are in black and white and were welcomed by the members. 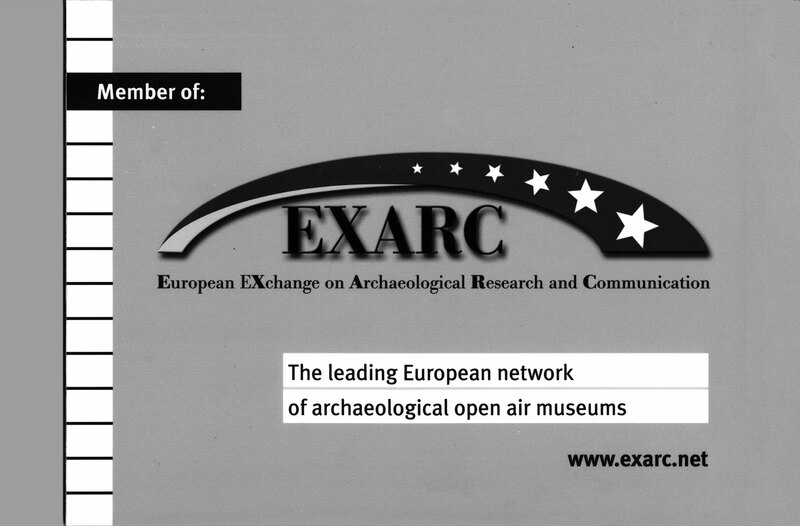 Until early 2003, no new members were allowed in EXARC besides the 13 founding members. With the shields, a new campaign for new members had started. The shields were made by our founding member in Unteruhldingen, the Pfahlbaumuseum. The logo was designed by Wulf Hein, using the rainbow bridge and the European stars.